I'm linking up two series over on the blog today. 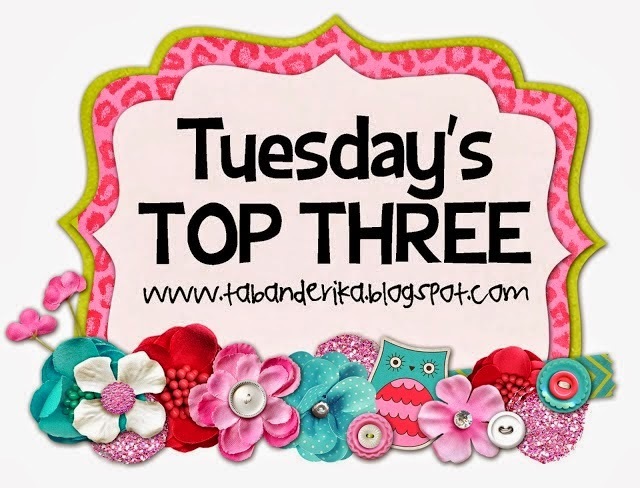 Every Tuesday, I highlight my Top Three of something I'm featuring that week...like television shows, hair products, or swim suits. This month, the 15th happens to fall on a Tuesday. 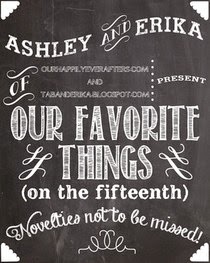 Every 15th of the month, Ashley, at Our Happily Ever Afters, and I share our very favorites for the month. So...today I'm showing you my Top Three Favorites!! You guys can we pause for a second? Let's all take a moment to look again at my VERY FIRST EVER COLLAGE!! hahahaha!! I couldn't figure out how to move the words! But...I'm still VERY proud! Ok, we can move on now...thank you! Neon pink! I'm loving ALL the bright colors, but my mama politely told me this weekend that bright yellow is not my color. :) Thanks, Mom! So...I'm sticking to bright pink! V-Neck: J.Crew Factory here (and under $15!). I think I was a little late to the party on this one. I read about this on a couple blogs and finally listened. I fell in love! LOVING this song. If you haven't heard it, go listen right now!! I'm also LOVING my new Converse. They're the perfect shoe for spring! I find myself wearing them WAY more than I thought I would. Don't forget to go check out Ashley's faves!! I'm also linking up with Andrea for a little home tour! We did a little bit of work in the family room. (I'm being super sarcastic! I feel like we did a LOT!) We put in new hardwood floors. We painted the fireplace (Doesn't it look WAY better?). We spruced it up with new furniture and a new rug! The red leather chair was in our old house and I love it! So...we added red pillows to the new sectional so we could keep in in the mix. In the pictures, the fireplace looks a little green, but I promise it's grey. Thanks so much for visiting our family room!!! Your family room looks so SOOOOOOOOOOO good! I hadn't seen the painted fireplace, and I love it! Good job friend! And neon pink? I'm SO on board! The hardwood floor is gorgeous! I love the hardwood floors and those HUGE windows!! 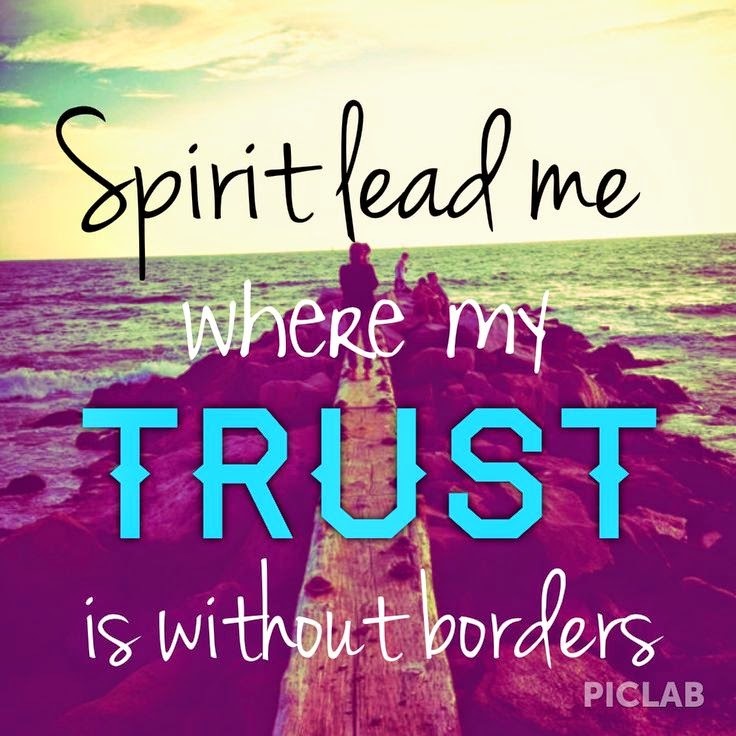 "Oceans" is an amazing song, isn't it?! Love the hard wood that was a great idea! And I am slightly in love with y'all's big huge windows haha. You just made me feel so much better about my neon pink gap short purchase. We must talk about your fire place ASAP! Mine is in need of some serious brass removal. Your house looks super cute, thanks for sharing. Girl I love all of those windows!!! Your family room is beautiful!!!! And I'm loving all things neon too!! So fun! That sectional looks so very inviting! where did you get those floors?? I love them! Your home is Beautiful....love those hardwood floors, the huge windows and yes the fireplace looks so so good!!! Those pink shorts are so cute....loving neon pink this season!!! your windows are amazing! and I need to use your fireplace mantle as some inspiration for mine! Love the hardwood floors! Looks amazing!! 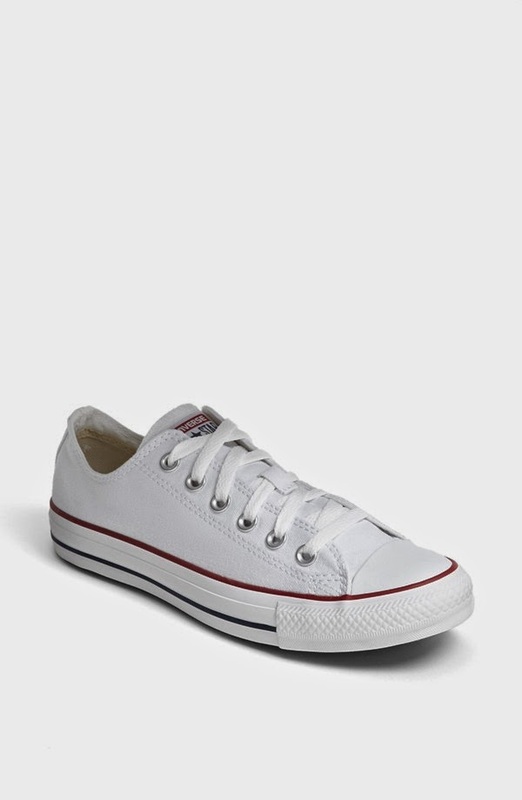 I love my white Converse too! I need the rain/snow to stop so I can wear them more! 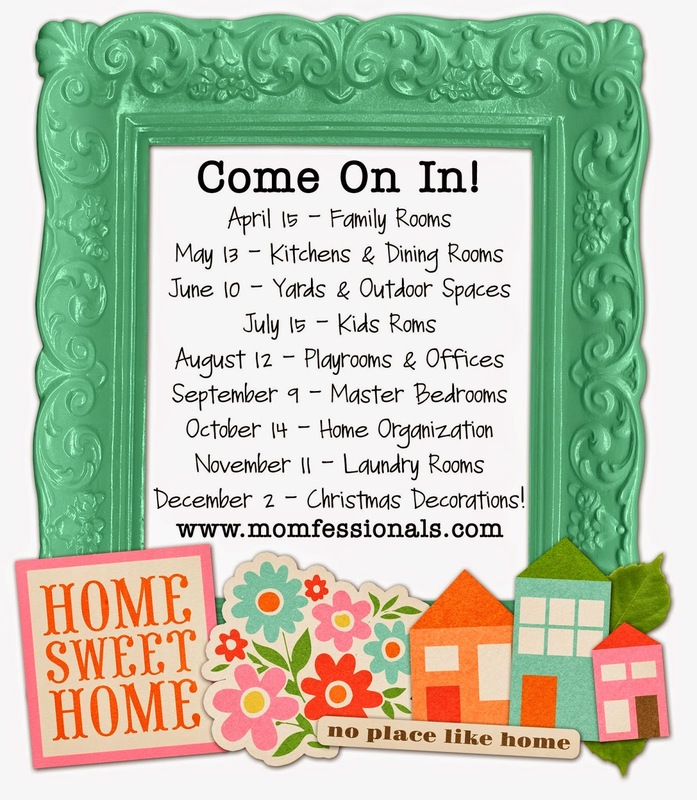 Love your family room! It looks huge, but comfy and inviting at the same time :) I should have posted a before photo too! We have dones so much to our 1980's house to make it more current! Love your living room! That couch is fabulous - and I really like how you've been able to balance all of the focal points in the room so well. Where did you get your rug from? I am looking for a big, soft light colored rug also. Thanks! I love your family room! The gray fireplace is great & I love the wood color of your floors. Ours is a reddish cherry & I really wish we had gone with something more like yours. Oh well, that was almost 6 yrs ago & this color was popular & "in" then I guess! I enjoy reading your blog, found you through Shay & Shaeffer! Your family room looks great!!! My biggest question is how does it look that clean and clutter free with 3 kids? Thanks girls!! It's definitely a work in progress but it's come a LONG way!! Andrea...I actually got the rug from Lowe's. We happened to be walking around getting some stuff for some projects and I spotted it! It was on sale! EVEN BETTER! Hayley...in this house the big kiddos bedrooms are upstairs and so is the playroom. Because of that, MOST toys stay upstairs. That really helps the living room stay clean! Your house is absolutely gorgeous! I'm holding back my envy! I'm with you on the hot pink...especially in the summer. I NEED those earrings! VERY nice! Love the ceiling height and big family portrait.